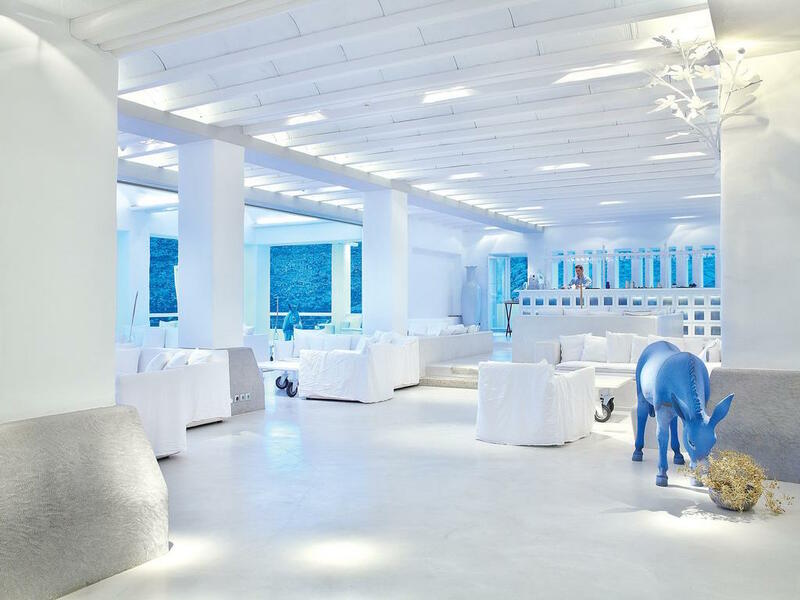 Stay in one of the most beautiul hotels in Greece! 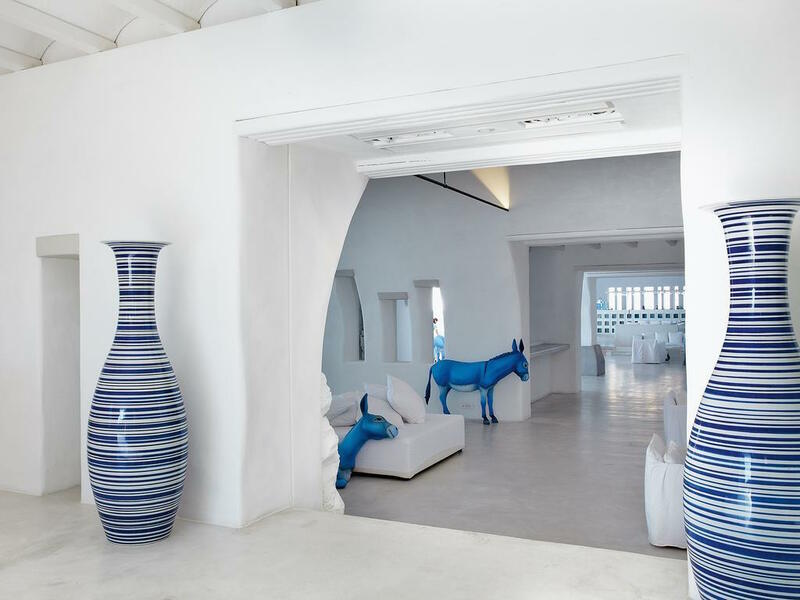 Located just five minutes from Mykonos town you can find a real gem among the local hotels. This unique place has been decorated with the traditional style and simply looks amazing. Even real-size blue donkeys look like they belong here! 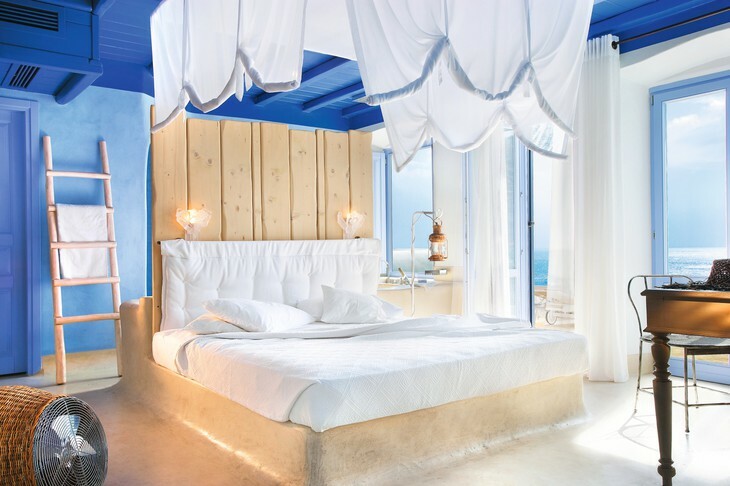 Whole hotel is 5-star, so expect to be looked after here - from private butlers, chefs and babysitters, to yacht and helicopter hires. 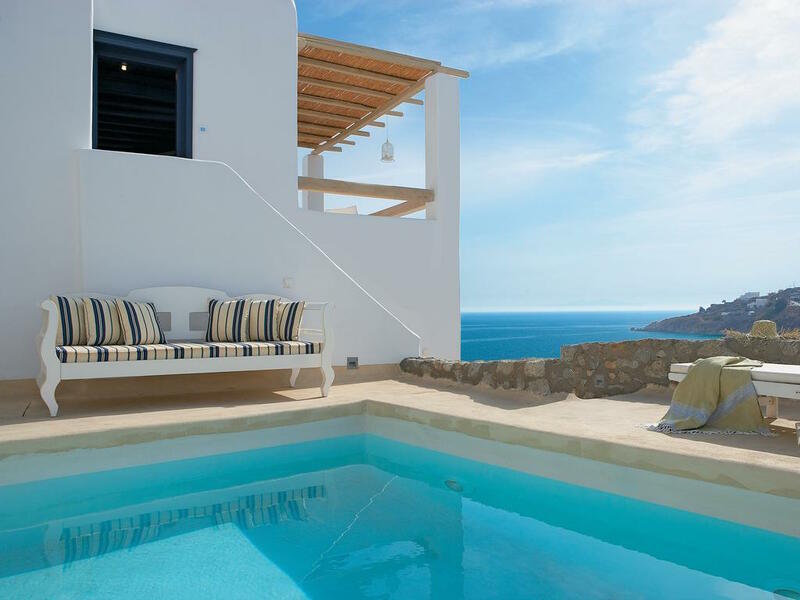 There is also Spa, infinity swimming pool, renowned restaurant and beach bar on site. 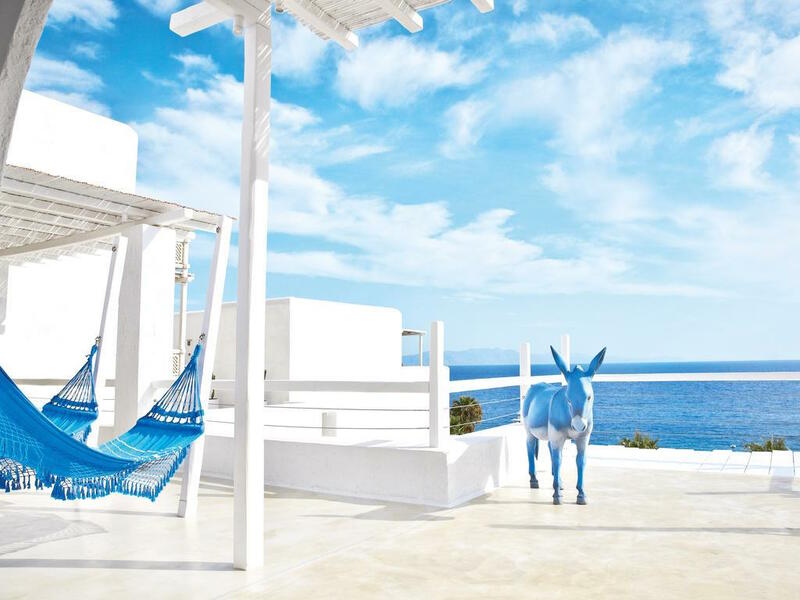 Hard for better place in Mykonos!